DepositFix is a HubSpot app that allows you to accept Stripe payments via HubSpot Forms and use purchase data as a signal in HubSpot. 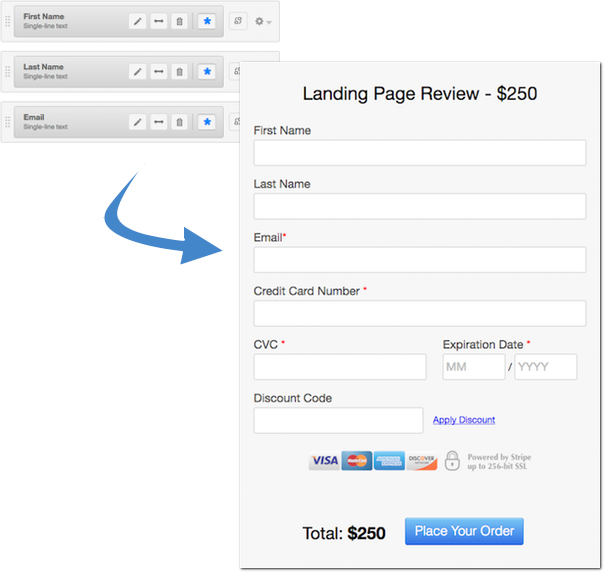 DepositFix ads payment fields to your HubSpot forms. Payment information syncs to Stripe and other customer data is sent to HubSpot in real time. The integration automatically updates HubSpot contact fields, posts events on contact timeline, and the data can be used to trigger post-purchase workflows. In the CRM the integration shows all past payments and subscriptions from Stripe for a relevant contact. 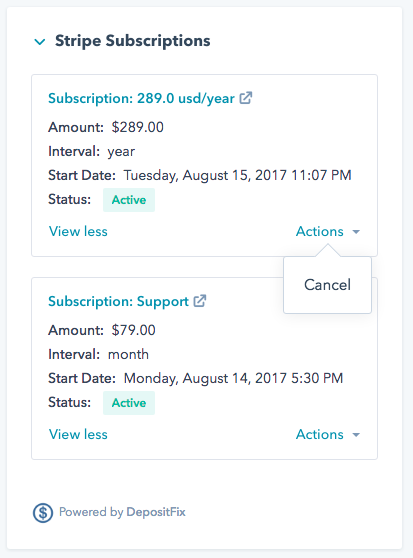 This lets you refund transactions and cancel subscriptions without leaving HubSpot CRM if needed. How might Marketing & Sales use this integration? DepositFix is a great solution for teams who want to make HubSpot work closer with their ecommerce efforts. Embedding payments into forms makes it easy for marketers to deploy ecommerce sites and the data coming into HubSpot related to payments and purchases makes it easy for sales and marketing to stay in the loop and trigger workflows and emails that facilitate the buying experience. The integration is free for HubSpot customers who also have DepositFix. DepositFix is paid but offers a 15-day free trial. This integration is built and supported by DepositFix. Customers can reach out to them for support.